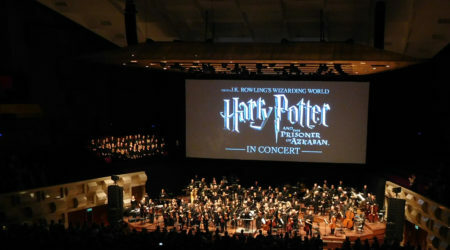 Magic of the Movies is a very interesting project, which recently organized a series of two concerts for the second time. The Magic Orchestra is a concert band that consists of very talented amateur musicians that come together for this special occasion. Each edition also has a choir called Magic Voices. In only five rehearsal days (three sessions before the summer break and two after) they prepared a very interesting program for two concerts, of which I visited the second one. When entering the beautiful old concert hall you could hear the sound of helicopters in the background. 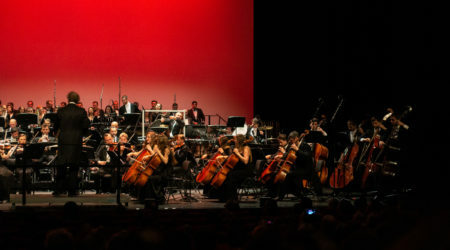 When the light was dimmed and conductor Michiel de Boer – who is also the main organizer of the event – entered the stage he went straight into conducting Wagner’s “Ride of the Valkyries,” which is used in Apocalypse Now and is always a good start of a film music concert – even if it is not officially film music. After introductions from host Martine Huijbregts, who was very effective at stating little facts about each piece as an introduction, the orchestra started to play a suite from Troy. It was an interesting take on the music from the movie, where the Magic Voices sang “Remember Me” instead of only one singer. Music from Indiana Jones and the Temple of Doom was next on the program: Instead of the famous “Raider’s March,” they played “Parade of the Slave Children,” which was, to my surprise, very well suited for a concert band: the instrumentation made it almost sound like the original. The choir had the chance to show its full potential during “Agnus Dei” from Samuel Barber’s Adagio for Strings. The beautiful melodies of this piece were also played by different instruments within the orchestra. The suite from Independence Day afterwards was quite a contrast, since it starts with a big fanfare, with mainly the brass instruments, transitioning into the beautiful melodic middle part and ending bombastically. This piece was my personal highlight of the evening. With a choir present, “Non Nobis Domine” from Henry V had to be on the program, which was also performed together with the orchestra. The first half ended with a suite from Ratatouille. It was a joyful piece during which the choir and musicians were whistling and the choir was dancing to the music. The second half started with “Adventures on Earth” from E.T., which is a very tough nut to crack for an amateur orchestra, because the timings of each instrument are very tricky and all the musicians have to be spot on to recreate this masterpiece composed by John WIlliams. With only five rehearsals the orchestra did a very decent job in performing it. Another highlight for me was “Hymn to Red October” from Hunt for Red October. I love this piece, and it was quite a treat to hear live. 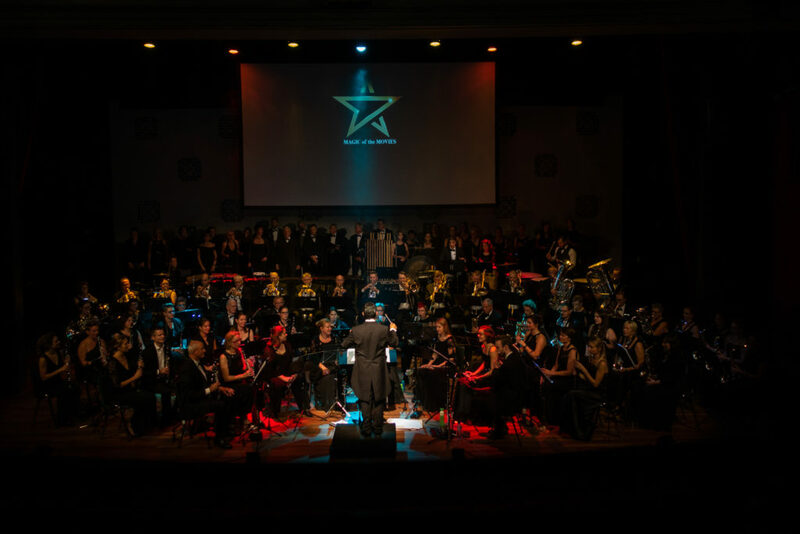 It was conducted by the choirmaster Marcella van der Heijde, and while they were playing and singing, red light was shining on the stage and red Soviet Union flags dropped from the ceiling, making this piece even more special. 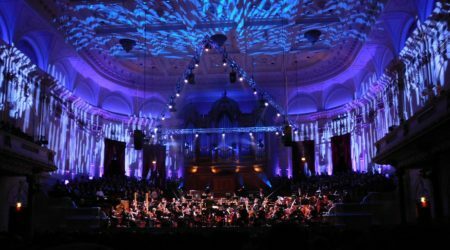 Van der Heijde stayed in front of the orchestra to conduct “Now We are Free” from Gladiator. It was performed only by the choir that hummed the melody while the host chanted the lyrics. For “Misirlou” there was sadly no guitar present, but luckily the musicians of the orchestra were perfectly able to substitute the famous guitar riff. The choir was again dancing behind the orchestra, and the trumpets were able to add a growl to their play to top things off. 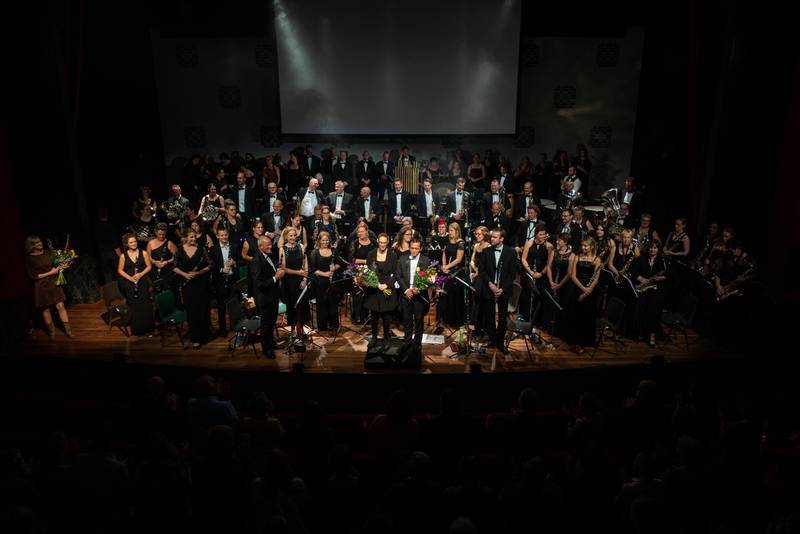 “Skyfall” was another a capella piece performed by the choir, where the choir, once again conducted by Van der Heijde, was humming the music while one of the singers sang the lyrics perfectly. The last piece of the program was again not really film music, composed by Spanish composer Oscar Navarro, who has written a lot for Spanish movies, called “Paconchita.” This piece can best be described as a Spanish party, with everyone dancing, standing trumpet players blasting out their solos and a great drum solo at the end. Of course, we could not go home without an encore, which was “From Now On” from The Greatest Showman, where the host and Van der Heijde were dancing and singing the lyrics, while entertaining the audience. It was a wonderful conclusion to a very entertaining evening. This concert was certainly very different from what I am used to. Lately, I have been to a lot of big budget, professionally organized film music shows, and this concert was completely different, but definitely not in a bad way. In my humble opinion, film music can be enjoyed in many ways. I play in a concert band myself, and it is an amazing experience to play a whole concert with film music only. 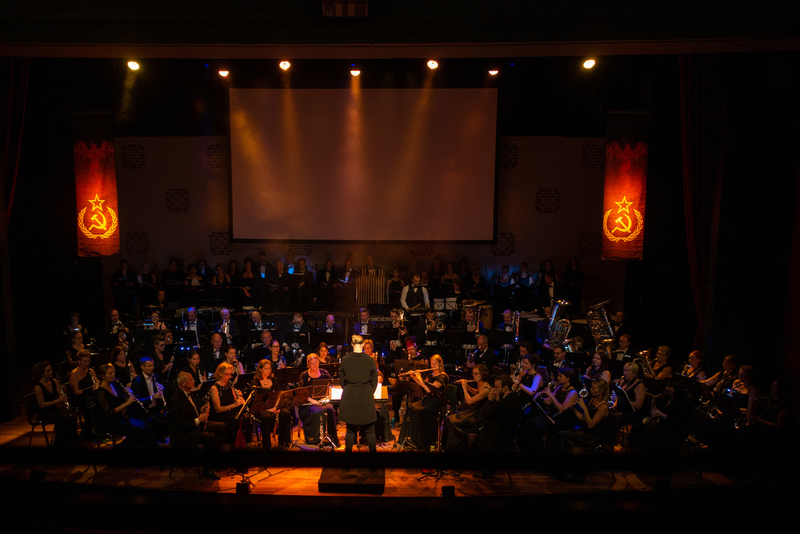 Not every big village or small town in the Netherlands has a symphony orchestra, but most of them have a concert band, a brass band or a marching band. That is why I think concerts like this one are extremely important to promote film music, and I am grateful for Michiel de Boer and his small team for their time and effort to promote film music to a wider audience and show people that it does not always take a big symphony orchestra with professionals to have a very entertaining evening filled with film music. When I walked out of the hall, the musicians were passing by to go to the dressing room. One of the choir members looked at me and asked: “Did you enjoy yourself?” to which I responded “Yes, I did!” and that was totally the truth. I am looking forward to part 3, which should be happening in two years. John Williams – “Adventures on Earth” from E.T.